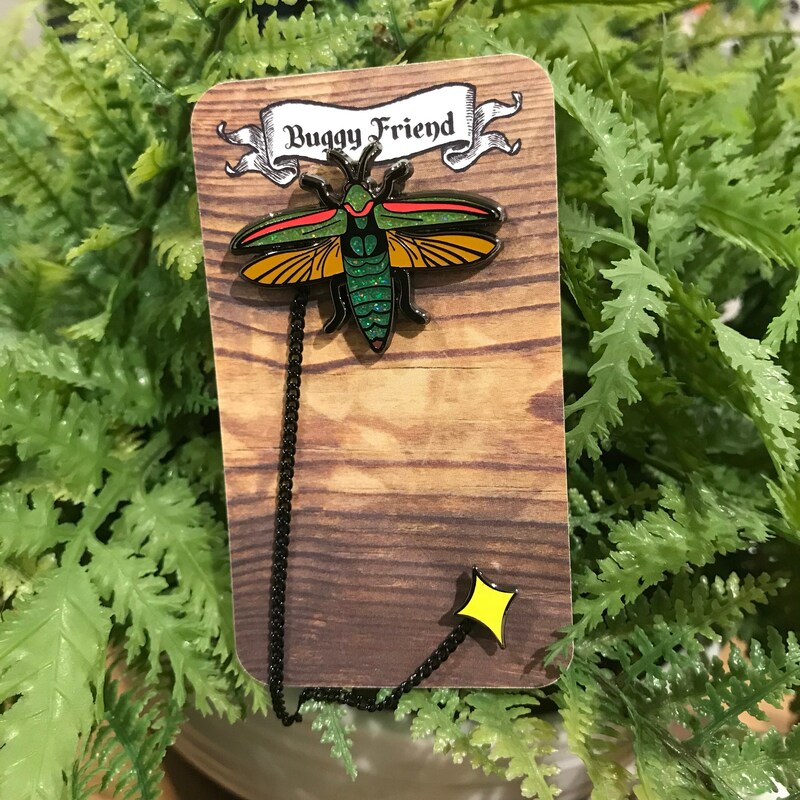 I wanted to create a way you could have a pet insect on your collar- with a leash to tether it! 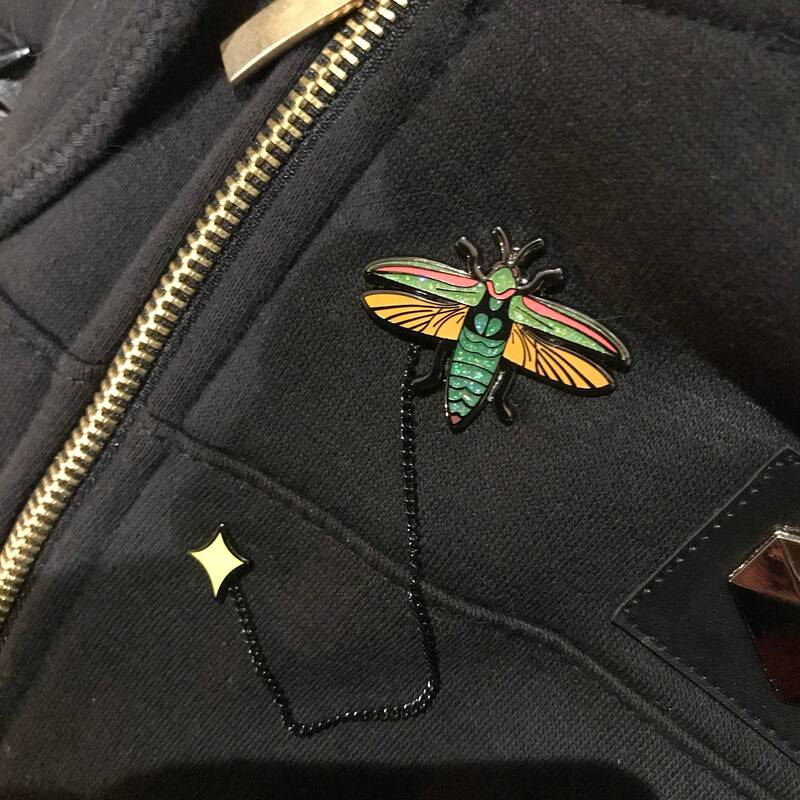 Now you can have your very own pet jewel beetle! Complete with its own home away from home sparkle to keep his leash in place! Made from hard enamel! His shell has green glitter enamel!! To die for! 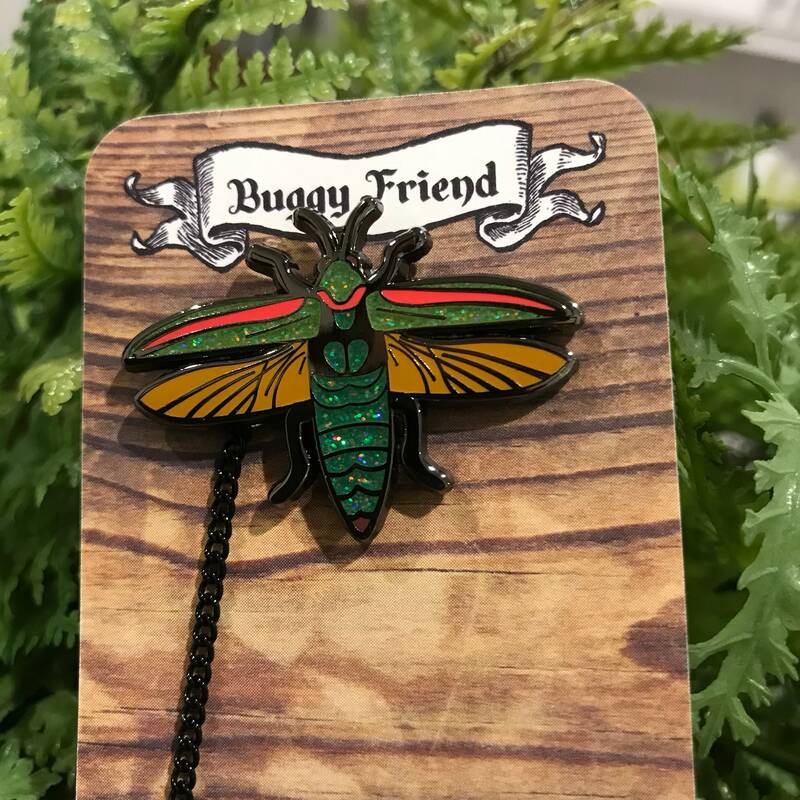 If these pins do well I will re-release and release more insects to adopt as pets! Payments must be made at the time of purchase. Once your order has shipped it will arrive between 2-3 business days! International orders may take longer. You are responsible for any fees incurred in your own country. 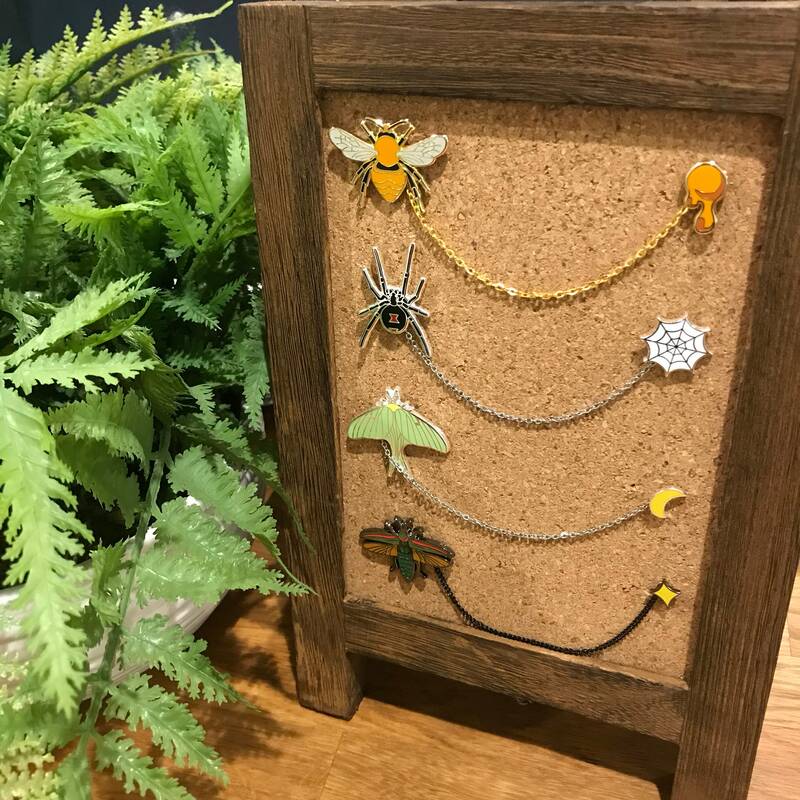 I do not offer refunds for my taxidermy, but if an item arrives broken I will replace it with a similar item or an item of your choosing from my shop.